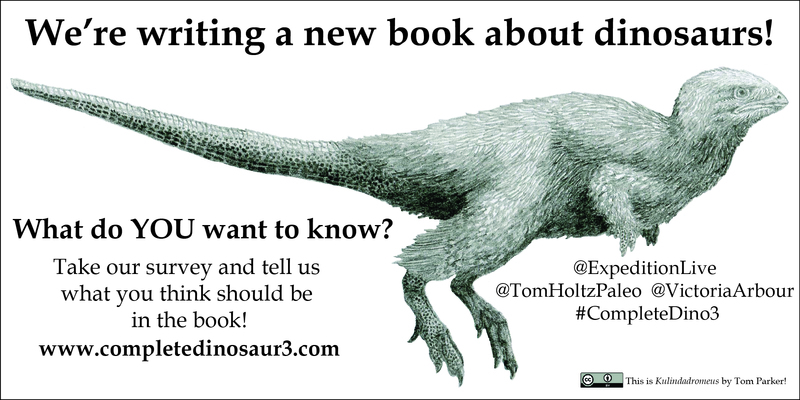 On behalf of Indiana University Press, we are thrilled to launch our crowdsourcing project for The Complete Dinosaur, 3rd Edition! What’s all this about? Well, there are lots of books about dinosaurs, and lots of people are interested in dinosaurs (including us! ), but there aren’t a lot of opportunities for most people to ask the questions they want the answers to before a book about dinosaurs is written. Palaeontologists have asked lots of questions about dinosaurs, but maybe you’ve got a question that has never been answered in another book. Maybe you have a favourite dinosaur that never gets mentioned, or there’s something you’d like to know about how the science of palaeontology gets done. All three of your humble editors have longstanding interests in both dinosaurs and public science communication, and when we were asked to take the lead on a new edition of The Complete Dinosaur, we thought this would be a great chance to work together with people from all corners of the world. Take our survey and let us know what you want to know about dinosaurs, and we’ll do our best to make sure those questions are answered in this new book! We’re looking forward to your survey answers, and we’ll be sharing updates about the book’s progress here! Stay tuned! Next ›It’s Science Literacy Week! How about something about dinosaur museum education? I can certainly help out with that.